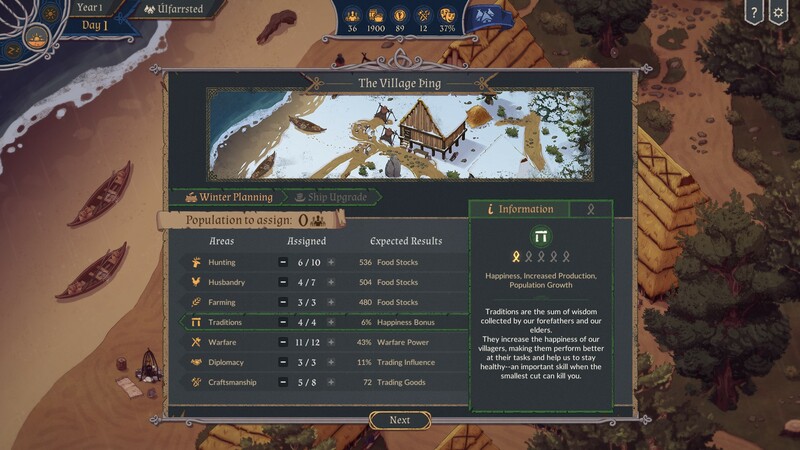 The Great Whale Road [Steam, Official Site], a game with turn-based tactical battles and RPG elements where you build up a settlement has released. I took a look to see if I could be a good jarl. Disclosure: Key provided by Evolve PR. The game has some obvious similarities to The Banner Saga, but sadly The Great Whale Road falls short in nearly every way. It tries to do a lot, but each feature is dull, repetitive and lacking any imagination. The story is something of a disappointment, you take over a village as jarl as the previous jarl died in an ambush. You do at least get to pick if you're a man or woman though based on their backstory. So it's a game revolving around revenge, finding who killed your previous jarl and his subordinates and the journey towards that. The initial start moves quickly through a couple of decisions and tutorial prompts without giving you much time to think. Still, it's easy enough to understand. Anyone who has played a basic turn-based strategy will have no issues here. It looks like it thrusts a lot upon you, but none of it is difficult to get to grips with. You quickly move from a training battle (if you choose the option) to being thrust into management of your village. You need to prepare for Winter, so you assign people to specific tasks. My problem here, is that you have no idea what amounts you need for anything, it's all complete guesswork. Once you do a couple of events, you're given the outcome of your decisions in the form of Winter Results. This is a repeating cycle too, prepare for Winter, do some basic travelling quests and deal with events that crop up during the Winter. I'm still unsure what any of it the management side truly means, since the game moves so quickly through it, it didn't really explain enough, it makes the game feel rushed. It feels pretty weak too, since all you're doing is assigning numbers of free people to specific tasks. The combat, while simplistic, does have one interesting feature: warcries. Each member of your team has their own, which affects you in completely different ways. Some may increase their own accuracy, whereas some may increase their evasion and so on. You have finite resources for warcries and earn more by defeating an enemy during the battle. My main issue with the combat is how slow it feels, every single unit takes its sweet time to move through each place on the combat board. The other problem is, the combat during Early Access sounded far more interesting with a card-based system, whereas now it's really watered down. Less random sure, but now too static and lifeless. There's very little variety in any of the combat, it's just damned dull. Pick a person, move or pick one attack, maybe a warcry, next. The combat has issues too, something I've noticed others give it feedback on is how many times you need to click on people for it to register. At times I've had to click 2-3 times before it registers. Another issue is more about micro-management of clicks. Say there's only one enemy in range, you click attack, but you still have to manually click that single enemy again before you get your options. The game should know there's no one else I can pick instead of giving me an option of clicking empty sections of the board to attack. It's a small annoyance, but it becomes bigger the more you do and amplified by how damned slow the combat is in general. The RNG is a nuisance too, I spent an entire battle with my group constantly missing a good 90% of their attacks. The battle dragged on and I completely lost due to poor accuracy RNG. Just no fun in that, didn't stand a chance thanks to it. Given how slow the battles are, you would think you could save during them — nope. Shocking. 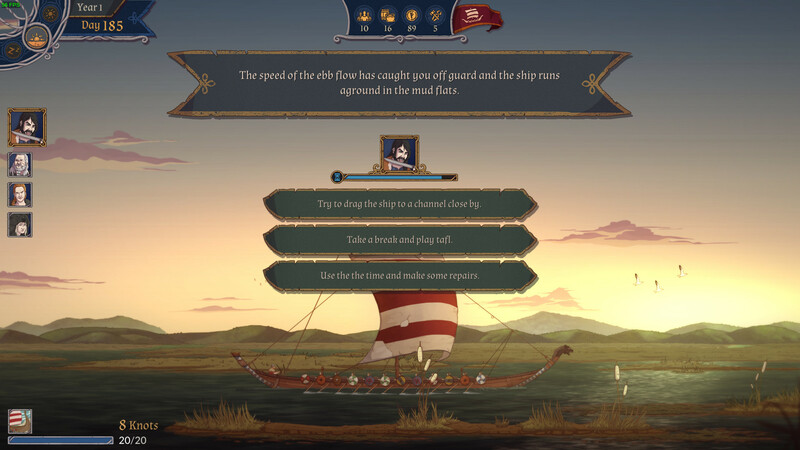 Part of the game involves travelling by boat to trading outposts and other quests, but like the combat, it's also quite simplistic. You watch a rather static animated boat with a nice backdrop and make a random decision or two based on an event that crops up. You might be stuck in the mud, or be drifting towards something, so you make a decision on how to best deal with it. Once you make it to land every settlement is essentially the same. Trade a bit, deal with a random event or two, heal or stay the night and move on. There just no bloody life to the game, it's repetitive in the most annoying of ways. The game starts off strong as it rapidly introduces more mechanics, but once you get into the swing of it, it all feels very samey. There's little variation in the tasks you do and little joy in actually doing them. Storyline about the Danes from Úlfarrsted, a village on a small North Sea island just off the coast from the Danish-Saxon borderland. A story-driven campaign from the north of Denmark to the south of England. Equip characters with weapons and armour sets. Four combat classes and associated warcries. Land and sea combat environments. An event system which covers all areas of medieval life from farming to family feuds. Overall, mediocre at best. Lots of little features, none of which have any great feeling to them. Tries to do a lot, but ends up not doing much at all. Quote The game has some obvious similarities to The Banner Saga, but sadly The Great Whale Road falls short in nearly every way. It tries to do a lot, but each feature is dull, repetitive and lacking any imagination. I liked the banner saga, but their failure to deliver the sequels for linux was quite disappointing. Got a banner saga 2 key on humblebundle because it was included as reward for the original kickstarter backers, but is unclaimed because it doesn't support linux. 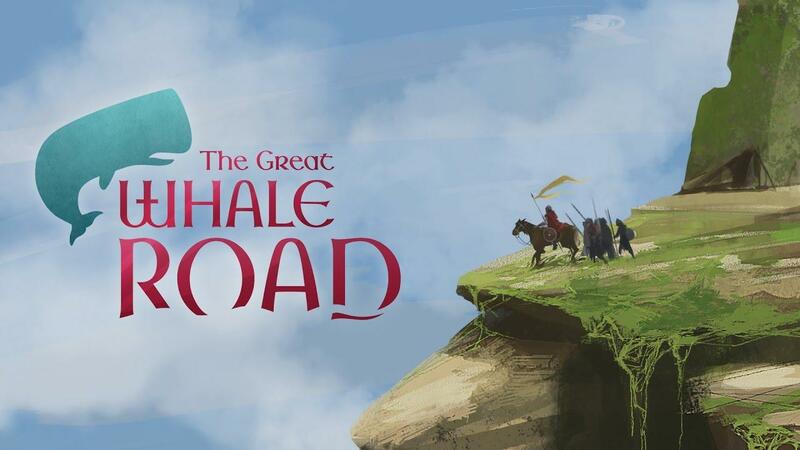 If the Great Whale Road is half as good as banner saga, but with full linux support I should probably give it a try. Wishlisted for now, and will take a look at a let's play video to see if I find it compelling. I did beta-test the game and the fact that there are no technical points mentioned is hopefully a sign that I did my job well. In my opinion it is fundamentally a good game that lack some polish to give it a great atmosphere when playing and needs some attention on making choices you make in the game more strategic. In the current state it is worth a few hours of your time, but won't keep you enthousiastic for weeks. I hope they still manage to improve it further.